What could be more relaxing than petting cats and dogs…? Only an actual massage! 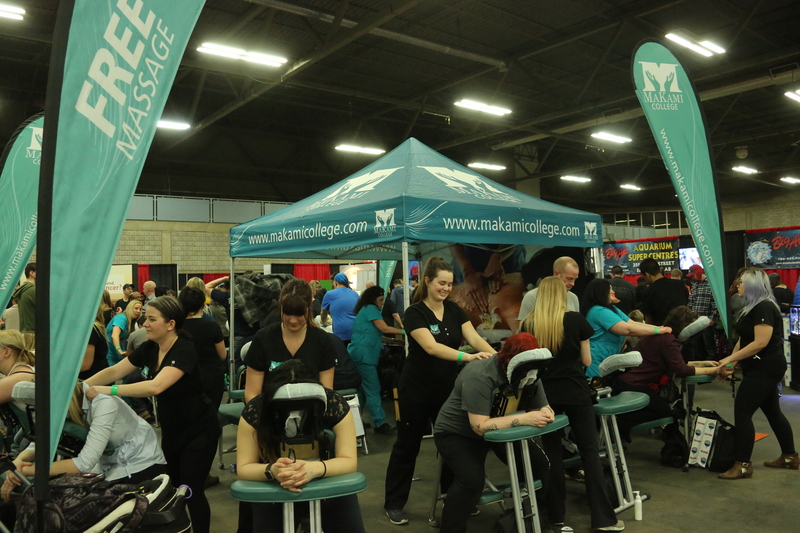 MaKami College is going to be bringing a dose of relaxation to the 2019 Edmonton Pet Expo by offering free 15-20 minute seated massages at the Show! We all know how heavy those bags of litter and animal food can be, so stop by their booth to unwind and get a taste of the relaxation you can experience when going to MaKami College for massage therapy. MaKami College is a provincially credited massage therapy school, providing quality massage therapy courses and training in Alberta since 2003. They offer the highest level of massage training currently available in Alberta, with a 3,000 hour two-year diploma program. They strive to help people of all ages and backgrounds achieve their educational dreams. For more information on MaKami College and what they can do for you, be sure to stop by their booth!